Do all six and you will have a grand total of eight chances to WIN this awesome giveaway...may the best gal WIN!!!! The giveaway ends Sunday August 7 at midnight...WINNER will be announced on Monday August 8. I need a comment for each thing you did...thanks! Oh my...I almost forgot to list all the goodies...silly me! 1. Two quarts of paint...get this...you get to pick what colors you want...yippee!! 2. One can of wax. 4. One clay tag...you can find these in her Etsy shop. 5. One clay knob...you can find these in her Etsy shop. Now for my weekly NIFTY THRIFTY item that I have to share with all of y'all...really it's Mr.CC's item (maybe I can take credit...since it was my idea...what you think?) Back in January while Haley and I were planning her wedding, the idea of having a 9 foot wooden cross with a floral swag on it at the alter was the WOW factor that we were looking for...so guess what...Mr.CC made this 9 foot cross (this man would do anything for his girls). So you must be saying to yourself...why is it so thrifty? It's thrifty because the wood that he used was FREE...he was given this huge trailer of free wood a couple of months ago. Since the cross was FREE...I didn't think he would care that I spent a lot on the floral swag...it all equal out...well kinda. After the wedding was over, we donated the cross to our church and we are looking forward to seeing it again on display...maybe another bride will use it. The party is rolling...so let's all link up and do some partyin'!!! made the FOB and MOB happy!! and I wish you lots of luck!!! I love Martha's WON FIVE TREASURIES von voyage really old trunk. Fabulous! I am now following Kate and I have been a long time follower of your blog. I plan to post the giveaway in my sidebar. I love the 9 foot cross! Hi MOB...I visited Martha's blog and am now following her. (I am already your follower). I love seeing the details of the wedding...it looks just beautiful! Yea, chalk paint!!! I really want some more colors and I am dying for the wax brush. Let me know how you like yours after you try it out. The wedding setting/flowers were perfect. All of those long hours and big bucks spent really shows in the details of the wedding.It was beautiful. Okay, I am following Kate now. I love all of her vintage-inspired knobs especially the hotel ones, the typography, and the numbers!!! I like Kate on FB. After visiting her Etsy store, I fell in love with her lace imprinted knobs - sooo cute! Oh how beautiful the wedding pix are!! And yes, the cross at the alter is gorgeous. Congratulations on your lovely, expanded family. I am already a follower of Coastal Charm! I am a loyal CC follower. I posted about the giveaway on the sidebar of my my blog!! The wedding was so lovely! I am an avid follower of Coastal Charm! I am a new follower of Kate's blog! I visited the Etsy Shop and like the set of music sheet birds. I liked Kate of Facebook! of course I'm your follower! and would love love LOVE to win! lots of beauties to choose from but my fav was the chippy wall shelf with the number knobs - YUM! I posted you giveaway on my sidebar!! Thanks for the opportunity to win! You are appreciated! Linda, thanks for always being a gracious hostess! Now I'm following Katie too..
Now I'm following her on Twitter.. The cross is amazing and how special for your daughter to have something dad made at her wedding. I am now following Kate's Creative Salvage. I've seen this paint all over blogland but never tried it. I visited the etsy shop and love the brown transferware dishes! I've been following you around for a long time now! Oh Linda, I love that cross! And it's even more special since your sweet hubby made it for his baby girl. I'm going to enter to win cause I really want some of this paint! P.S. I hope we can get together sometime during football season! I'm already one of your happy followers. Thanks so much for the chance to win some chalk paint. The cross is amazing and the flowers look gorgeous. What a great idea to donate it back to the church. I'm a new follower at KatesCreativeSalvage. I think I like the little printer's drawer. I like all the little compartments and can always use more storage for my jewelry parts. the cross made by your Mr.Coastal Charm is so pretty. How special to make that for your daughter's wedding. 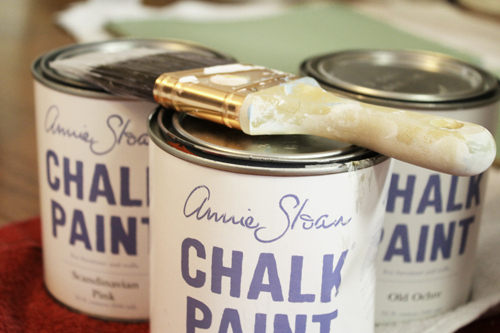 Also, I'm excited about the chalk paint giveaway. I'm following her blog now too. I'm also following you...thanks for the contest opportunity! VIntage Inspired Map Knobs are just too cute! And the coffee grinder is something that reminds me of my grandmother...she had the same one and I played with it as a child. Sweet memory, thanks! I've been one of your followers for quite a while now. I "like" Kate's Salvage on FB! They would be so cute for a special message for my hubby in his work area. Love the typography knobs (no surprise there)! I am a follower and would love to win the chalkpaint. Thanks for hosting the party today and tell the FOB, "good job" on his addition to the wedding! Hi! I'm joining your Tuesday party for the first time! Thank you for hosting! I've missed joining in on all the Tuesday Fun! First...what a lovely gift your honey made for your daughter's wedding! Second...what a great giveaway! I have been a happy follower of yours for a while...I'll be keeping my fingers crossed! I am following Kate now too...her blog is beautiful! I meant I am following Kate' Creative Salvage Blog...I love all the knobs ~ I think the white typography ones are my favorite! I am now following Kate. I have followed you for a quite a while. Just had our daughters wedding in our back yard this past weekend. Started to post pictures today. Going to go check yours out. I love the chicken drawer pull in the etsy shop. I love the vintage drawer pulls on her Etsy! I love the cross your husband made for the wedding. I am sure it will be used many more times in the years to come in your church. I am now a follower of Kate's. In Kate's etsy shop I adore the vintage suitcases! I really want to try the chalkpaint! I am a follower of Kate on Facebook. I follow you, too! I would LOVE to win! My favorite in her Betsy store is Vintage traditional damask drawer pulls. Those are exactly what I have been looking for. In her Etsy store is a gorgeous set of 6 red goblets and dessert plaes I would LOVE!! And of course I follow Costal Charm! Just posted your generous giveaway on my blog, Linda! :) Thanks again!!!! What a great giveaway! I'm a follower and following Kate as well. Thanks for hosting. I'm now following Kate's Creative Salvage, as well! I liked Kate's facebook page. My favorite items in her Etsy shop are the antique lace drawer knobs and the vintage San Francisco stamp dated 1935 handmade tag. So cute! I am a new follower of Kate's blog. Thanks for the giveaway. I love Annie Sloan's paint. There are so many things to love in Kate's Etsy shop. I think I am diggin the Silver Deco Coffee Pot right now, but ask me in five minutes and that may change. There is so much to look at here. Of course I am a long time fan and follower of your blog! Wow -- this is the 'mother of all chalk paint giveaways'! I'm already a follower! Thanks very much! I love her French Poem tag but also all of her salvage items too!! Added this giveaway to my blog! we are now followers of Coast Charm...love it! we are now followers of Kate...thanks for the great giveaway!! I love Kates favorite number drawer pulls! Thanks for the awesome giveaway - I followered her blog! In her shop I best love the music birds! I followed her on Twitter. I posted about the giveaway on my blog. Your husband did a great job building the cross. It's wonderful that the church now has it to use for other events. Thanks for hosting the giveaway. I would love to be entered. A loyal follower and I know just what I would use this amazing paint on! Following Kate on her site as well!! Your cross is so wonderful Linda!! Thanks so much for great giveaway!! Thanks for posting this...love to try the paint. I just joined the party. One of my favorite things in her Etsy shop is the vintage silver coffee pot. Linda, Of course I follow you! I am adding the giveaway to my sidebar. All of Haley's flowers were beautiful including the cross and swag! Take care. Whoa! More than 130 comments -- nothing like a spectacular giveaway to get those fingers onto the keyboards! I've been a Follower for ages, and I also mentioned the giveaway with a link to you on my blog post today, along with the link to Nifty Thrifty tuesday. I'm LOVING the wedding pictures. Our daughter was married on 6/25 and I'm still collecting pictures of that -- and also thinking, "Oh GEEZ, I should have done this, or that...." but then I remember that bride and groom were both happy, so ... then I calm down. You looked lovely, too! Wonderful wedding. Have you hit the let down yet? Just visited Martha's Etsy shop -- I love the Warwick china platter -- with its tiny roses and gilding. It's amazingly similar to a set of old Limoges china that I have -- just about the same pattern! I Followed Kate's Creative Salvage. I visited Martha's Etsy shop and I liked The Lavender Heart Wreath. I liked Martha on Facebook. I am your newest Follower :) Thank you for this opportunity! I posted your button for the giveaway on the side bar on my blog and I did a post about the giveaway. Thanks again! I'm following Kate's Creative Salvage. I "Like" Kate on Facebook. I visited Martha's Etsy Shop and I Love the antique porcelin door knobs. I follow Kate's Creative Salvage, now! I like the French inspired typography knobs in Martha's Etsy shop! I follow Coastal Charm, now!! I'm a follower of Kate and so excited! I love the sheet music drawer pulls in Martha's Etsy shop. I've been a follower of Coastal Charm for some time now. I love the typography knobs and the vintage ornate shabby chic mirror!! I liked Kate on Facebook. I'm a follower of Coastal Charm, great give away!!!! What a great giveaway...I've been reading so much about Annie Sloan paint lately that I actually had a dream about painting something with it the other night! Now I've got to try it. The cross for your daughter's wedding was beautiful. What a loving gift from a Dad, and how sweet that you'll share it with others now. i would love to have her numbered knobs!!! I would LOVE the vintage traditional damask drawer pulls! I'm now following Martha's blog! Can.not.wait. to try this paint! 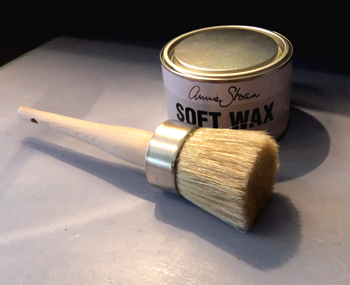 Well I am one of maybe everybody in blog land who wants to win Annie Sloan paint. Mr. CC did a great job on the cross. This was a good idea for the focal point. I like your swag, too ;). I'm a follower. I like the lace and monogrammed tags. I love the hand stamped monogram from her shop! I am following Kates Creative Salvage. I would like to purchase the small printers box that Martha has in her Etsy shop. I am following you. Just came across your blog today and now following! I love the Home is Where the Heart is Lavender Wreath!, but there were lots of really neat things on Martha's Etsy site! I'm following Kate's Creative Salvage! I'm following Coastal Charm. Great blog! I am a happy new follower of Coastal Charm! I liked Kate's Creative Salvage on Facebook. I loved the hand stamped french script tags in her easy shop, and I think I'll have to purchase a few. Thanks for introducing me to her blog. I am entering the contest, I love the vintage inspired Drawer Pulls on Etsy. Entry 1! I became a follower on Kate's blog...entry 2! I liked her on facebook, entry 3! I already follow you on Coastal Charm, entry 4. Entered on my Blogspot...2 entries!! THank you for this opportunity. What a fantastic job he did!!!!! I bet the bride just loved it. Have a fantastic Thursday Linda. I follow Kate's Creative Salvage. I follow you Linda #4.